As strategists, we take time to understand your business' vision and goals, conduct market analysis, then utilise those insights to define an effective strategy that considers all aspects of your business. Our professional execution ensures your campaigns are then delivered successfully and measured accordingly. We thrive on success and believe that working as a natural extension to our client's internal team creates a beneficial experience for all. We aim to exceed clients’ expectations from acquisition to delivery. That’s why accountability, agility and flexibility are core disciplines for us. Contact us, for an informal no obligation discussion regarding your business and marketing objectives. During Samantha’s time at UPP Group she affected a step change in both internal and external communication activities. With a wealth of marketing knowledge, she was a touchstone for trusted advice across the business. In making the UPP brand coherent and by developing numerous highly effective B2B campaigns, her work underpinned much of the Group's success. Sam has worked with us to develop an effective marketing strategy which has included social media channels to target parents, raise our profile and position us as a company of interest to employees. 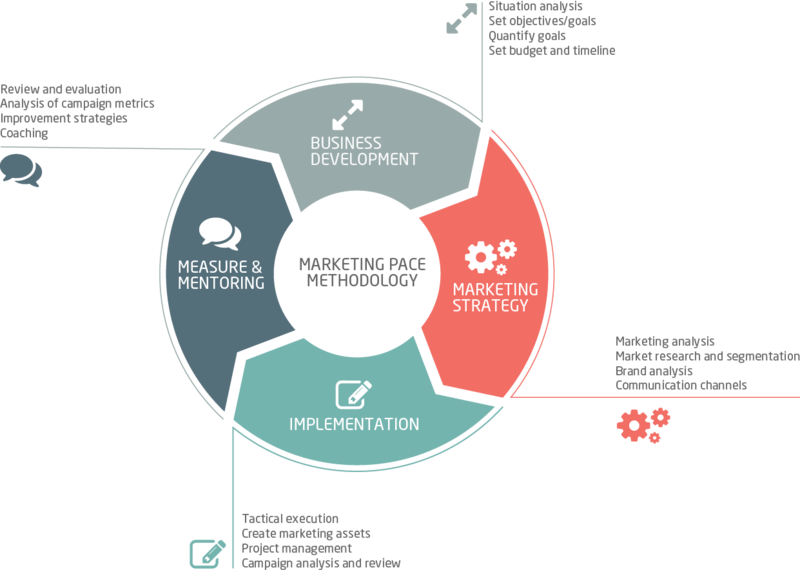 The Marketing Pace team implemented our new website which included copywriting and the design and built. We have seen an increase in awareness of the nursery locally, increased engagement across our social media and our nursery rooms are full. I would have no hesitation recommending Sam to support any business looking to grow their marketing presence. .
© © Marketing Pace 2019 All right reserved.